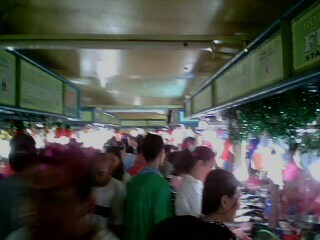 For the last day of the year, I was tasked to go to the market and buy fish and ingredients that will last until next year. Although this day is my last for 2009, it brought so many firsts to me. It was my first time to be conscious of the last sunrise. Therefore, I took out my new dual sim phone with a 2mg camera and started shooting. 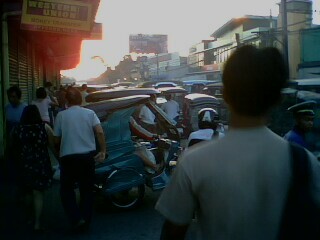 The Last Sunrise for 2009 seen from Pasig City market. 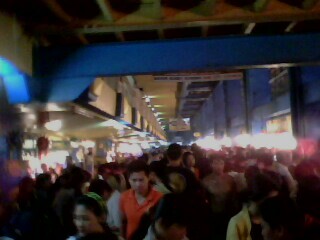 It was also my first time to visit for the last time for this year Pasig City market. I was surprised by the number of people who were also there. 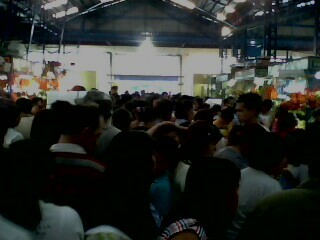 The crowd in Pasig City market in one of the entrances. To the left is the fish section, and to the right is the meat section. 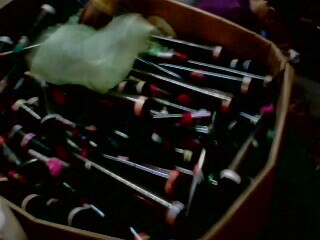 A boxful of torotot for sale. The noise drives away evil spirits and bad luck. It is also the safest for children. This is how the crowd in the fish section looked like this morning. 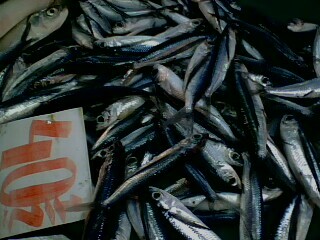 Still from the fish section of the Pasig City market. 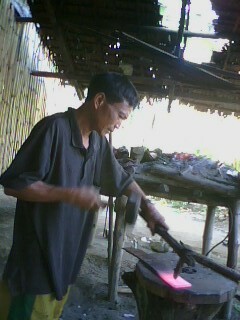 In Pilar, Capiz for the Christmas vacation, I visited a blacksmith in his house by the swamp located between the sea and my house. 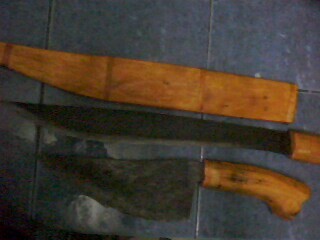 I commissioned him to make for me a medium sized bolo and a chopping knife. I had my piece of steel which was about a quarter of an inch thick and about two feet long, with me. 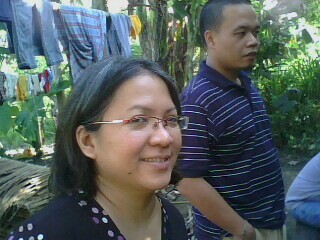 I was accompanied by my brother AZ, a lawyer cousin, and the lady who is known for her poems in Filipino. My brother AZ knew the blacksmith. 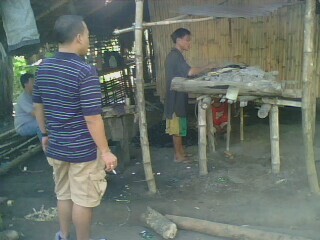 When we arrived at his hut, AZ called out his name and announced that he had a new client in me. 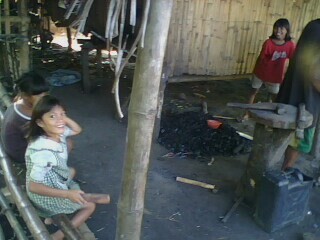 My brother also asked why, for a few days now, he had not heard the blacksmith’s hammering from the house. 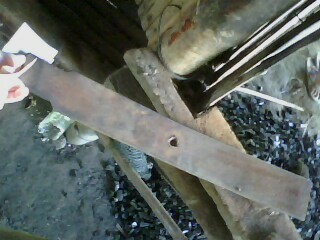 Pagi, the name by which the blacksmith is popularly known in our place, replied that he had been resting. He had been nursing his aching polio-stricken leg. But he was already recovering, so he obliged to show us his skills. 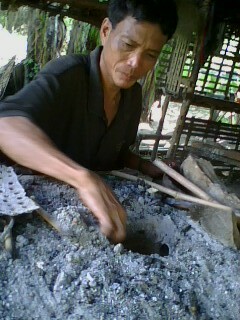 Pagi, the blacksmith, preparing his furnace. If Pagi wishes to be free from suit, he better do well. Camera shy Atty. 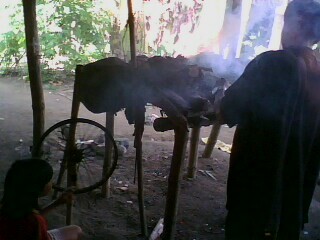 GV Cunada, my cousin, watching Pagi closely as Pagi prepares his furnace. Will Pagi bestow his skills to his daughters? 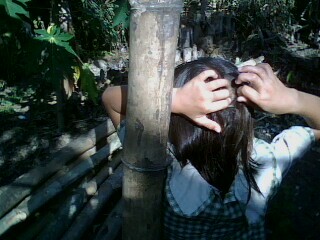 while daughter in checkered blouse scratches her head and tries to pick some of her lice. Pagi hammering my glowing-hot piece of steel to pieces. As I was telling you in the first part, I went to the market. I bought melon and pineapple among others. 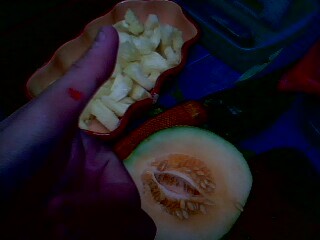 I sliced them using the chopping knife Pagi made for me, and below was what happened. I also bought fish. 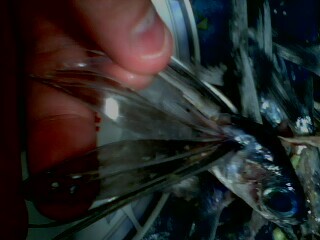 Once I visited my brother’s fish cage somewhere in the sea in Pilar. On our way to the cage, this fish would race with the boat and would jump over the surface of the water and glide back down. 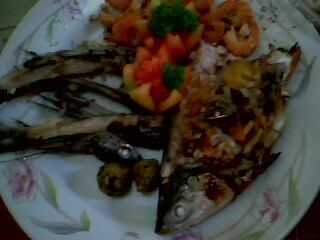 For lunch, the fish ended up in the frying pan. The fish jumps over the surface of the water and glides back down using its wide fins. 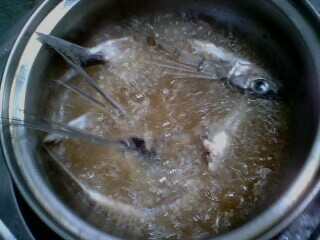 After I removed their meat, they jumped into the pan with boiling oil. An attempt at food presentation. 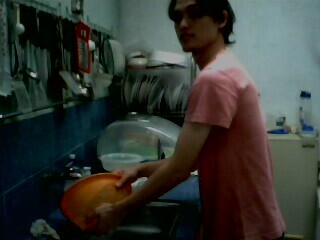 Finally, I washed the dishes. And I ended up washing the dishes. This entry was tagged about pilar, Atty. GV Cunada, AZ Cunada, blacksmith in pilar, new year, panday sa pilar, pasig city market, pasig palengke, photo essay, Pilar Capiz, Rebecca Anonuevo. Bookmark the permalink. I wonder which cave you have visited. 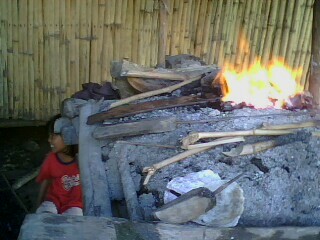 It’s one of my frustrations for not having been a single experience to make “suhot sa cueva”. It will be interesting to see the “inner” part of the cave and the waterfalls as well. May waterfall pala sa Pilar? I’ll wait for the photos !! I have already incorporated it in the article above. Angela, for the Christmas vacation, I did not only have a glimpse of Pilar. The truth is, I immersed myself in our place. Thank you to both of you for leaving your impressions. It’s a happy feeling the fills me every time I see comments on my posts. It makes me want to write more and better articles every time I see comments, may the comments be positive or negative. Thank you again and keep your comments coming. Of course, happy anonuevo, too! Domestication becomes you. 😉 happy new year, JP!